Here, we will introduce you to some of the most famous sights in Austria, which can all be reached in a short amount of time from the Hotel Bismarck. Around 15 minutes by car from the Hotel Bismarck, at the entrance to the Gastein Valley, the fortress towers right above the heads of approaching visitors. This fortress used to belong to the archbishops’ orderlies, administrators and country judges, thus serving as a security and administrative building for the Gastein Valley at the time. 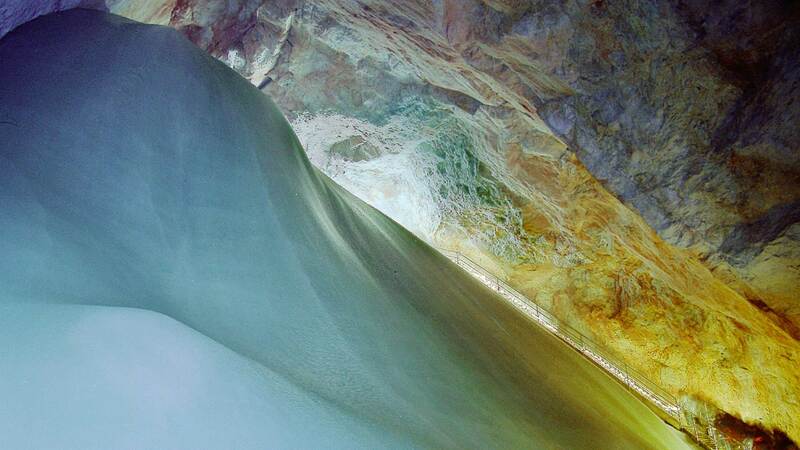 Explore the mysterious world of the mountain interior. 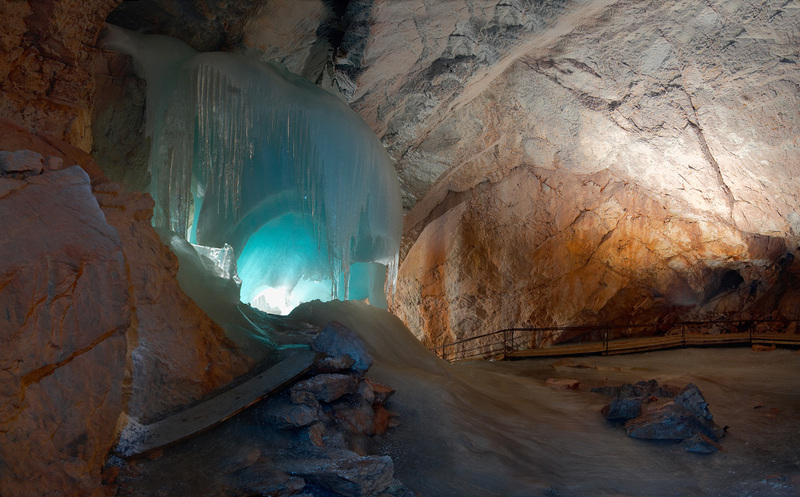 The Entrische Kirche is a large cave left in its original state, located near the village of Klammstein in the Gastein Valley. The size of its halls and the beautiful stalactites and rock formations created by water after the last ice age amaze visitors of all ages. Experience the thrill of finding gold yourself – guaranteed! Pan gold out of the sand with the help of an expert. 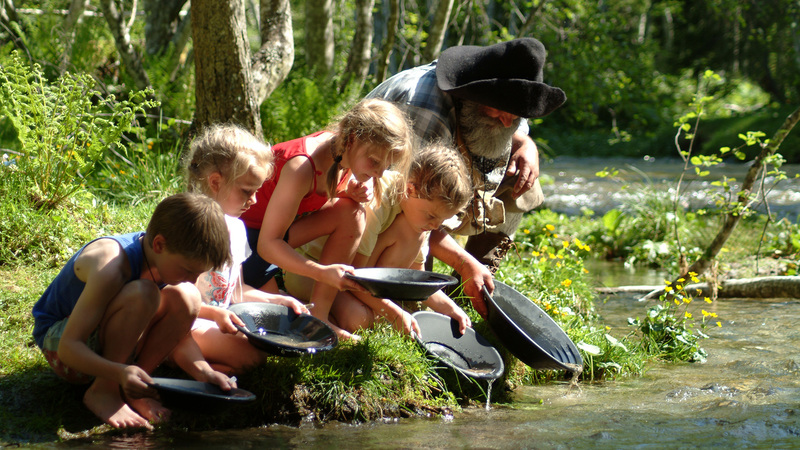 A fun activity perfect for your family holiday in Austria. Train your strength and concentration on the archery parcours by the Waldgasthof Inn in Bad Hofgastein. 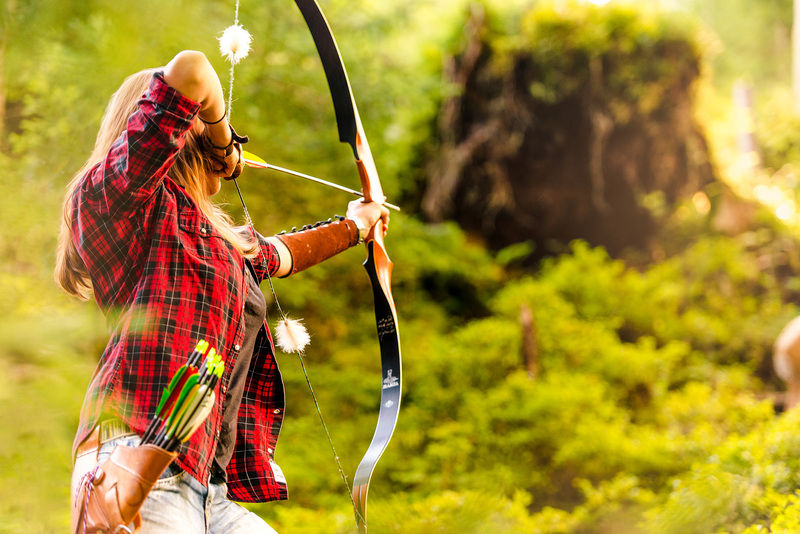 This archery course, unique to the Gastein Valley, starts right by the Waldgasthof Inn and, after a short introduction, takes you through open terrain and idyllic forest paths on a hunt for true-to-life animal replicas. The aim is to “kill” the animals with your bow and arrows, collecting as many points as possible. The rental shop offers the right equipment for hunters of all ages. You will need to allow around 1.5 hours to complete the course. Cast your line in Angertal! The idyllic wild water pond is home to fishing fun for everyone! An experienced fisherman will explain your rental equipment and all you need to know about fishing. The trout you catch can even be prepared at the Waldgasthof restaurant. If you continue past the Adventure Arena and along the gentle hiking trail for about an hour, you’ll find the Knappenwelt, an early industrial mining site. Here you’ll get a good impression of a miner’s modest lifestyle during the 15th century. Guided tours of the Knappenhaus, the Bergmeisterhaus, the smithy and the old medieval smelting furnaces are open to anyone who is interested. Dive over the edge of the platform, into nothingness – securely fastened to the rope of the Flying Fox. Free as a bird, you‘ll be able to see the Gastein Valley and Salzburger Land from above. Seated comfortably, you’ll float over the historical town of Bad Gastein. You might feel a few drops of water whilst crossing over the roaring waterfall, before passing the impressive Belle Epoque buildings. If you look to the left, you’ll enjoy a panoramic view of the entire Gastein Valley and the Hohe Tauern Mountain Range before your flight comes to an end. 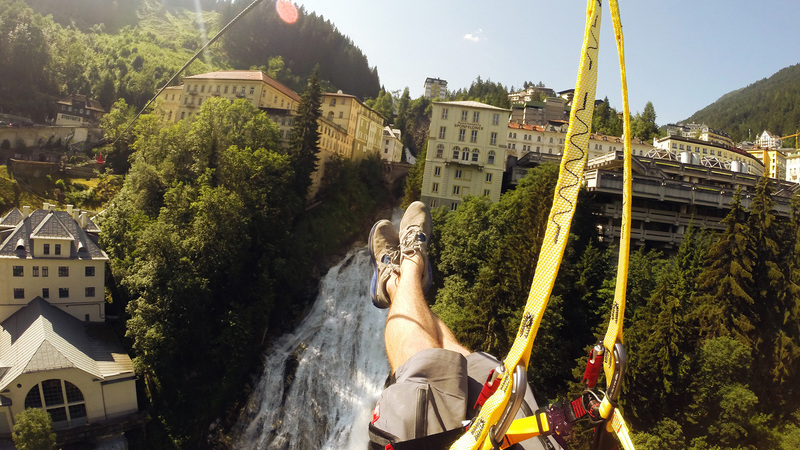 Whether you try it in summer or winter, spring or autumn, floating over the Bad Gastein Waterfall is possible all year round. The “Gruener Baum” hotel village (Green Tree) is at the entrance to the Koetschachtal Valley. You can get here by car, bus or just walk from Bad Gastein via the Kaiser Promenade, or the forest road from Bad Bruck. Once you pass the hotel village, a towering granite rock will come into view: the so-called “Sky Wall”, a characteristic rock type found in the Hohe Tauern Mountains. Here you will also find the famous Malerwinkel and Luis-Trenker pathways. Before you pass the Sky Wall, you will see a memorial to the victims of an avalanche in 1951 and after a 15-20 minute walk, you’ll arrive at the “Gasthaus zur Himmelwand” inn. After that, continue down the path for another 50-65 minutes until you see the Alpenhaus Prossau Inn, which we highly recommend for its magnificent view of the surrounding mountains. After resting at the Alpenhaus Prossau Inn, we suggest you walk another half an hour to the end of the valley – to the “Hintere Prossau” – a rock basin into which the surrounding glaciers send their many waterfalls. CURRENTLY CLOSED. At first you will follow a rocky forest road leading slightly uphill, until you cross a stream after around 20 minutes and your view opens up to the valley basin. This is also where the core zone of the Hohe Tauern National Park begins. At an altitude of 1,584 m to 2,650 m above sea level, Sportgastein is the highest area of the Gastein Valley and also the highest ski resort in Salzburger Land that is not a glacier. 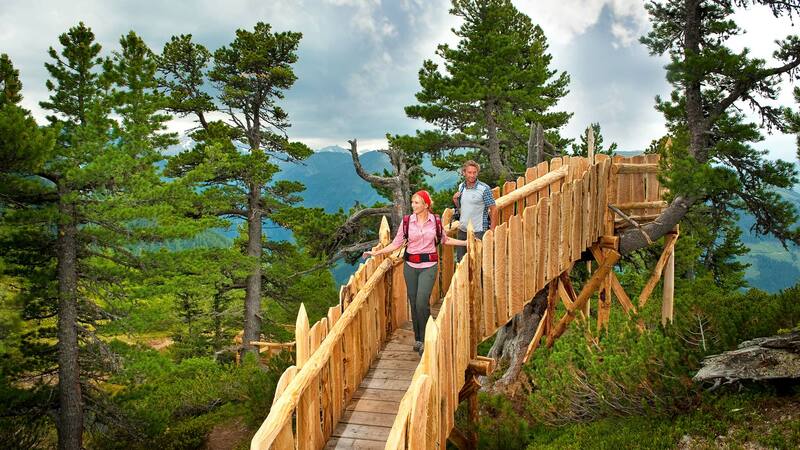 In the summer, Sportgastein is an impressive hiking area, ideal for easy hikes, as well as challenging mountain tours. The valley ground of Sportgastein is situated at around 1,700 m. Here you can start a wonderful round trip (no. 19), lasting around an hour. The trail is quite flat and therefore also suitable for guests with limited mobility and families with children, as you can push a buggy along it. Due to the altitude and susceptibility to wind, we recommend you wear warm clothing. Please start early! 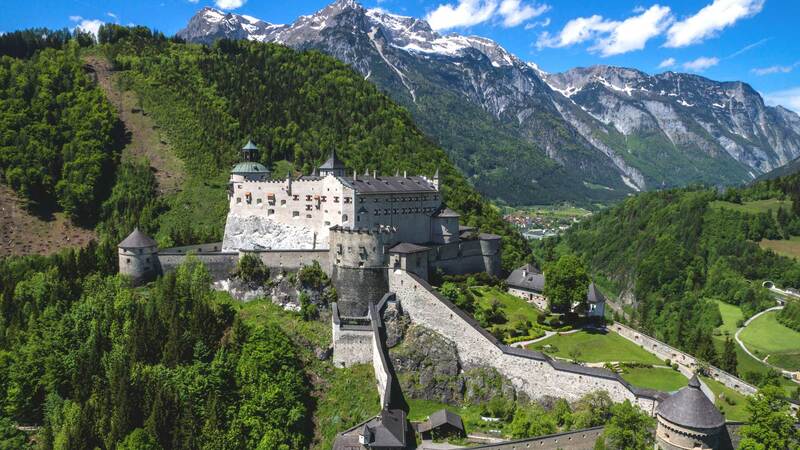 This 900-year-old fortified bulwark in the Salzach Valley towers high above everything else, between the Tennen and Hagen Mountain Ranges. The Hohenwerfen Fortress is a real treat for adventurers and cultural enthusiasts. Visitors will get their money’s worth here, as there is a great variety of entertainment to be found. Get a little bit closer to heaven. 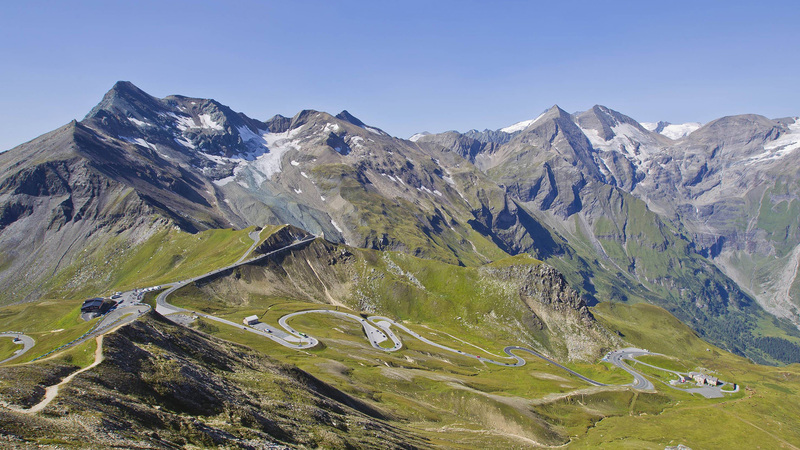 Since 1935, the Grossglockner High Alpine Road has been an incomparable experience for around 50 million visitors. This most famous Alpine road ends at the highlight of the Hohe Tauern National Park: Austria’s highest mountain and its largest glacier, the Grossglockner Mountain (3,798 m) and the Pasterze Glacier. FAMILY TIP: You will find a wonderful game and amusement park (Fernleiten) at the beginning of the High Alpine Road! This legendary gorge in the middle of Salzburger Land features a mighty, roaring waterfall, moss-covered stones in lush green, an atmosphere of legend, and sunbeams that create rainbows in the fine water droplets. Worth a visit any time of the year. The baroque Old Town of Salzburg has been designated a UNESCO World Heritage Site. With its narrow streets and hidden courtyards, it takes you back to a magical baroque world. Intricately designed shops invite you to have a look around, whilst historical cafes are great places to take a break. 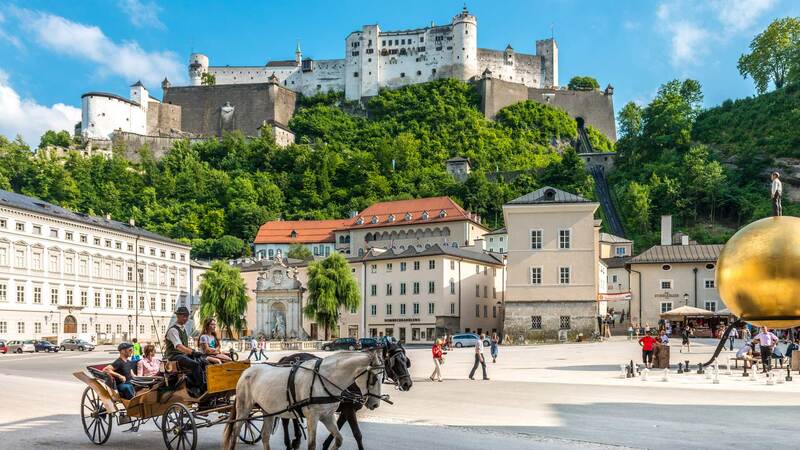 The city of Salzburg can be reached in around 75 minutes by car and 90 minutes by train.